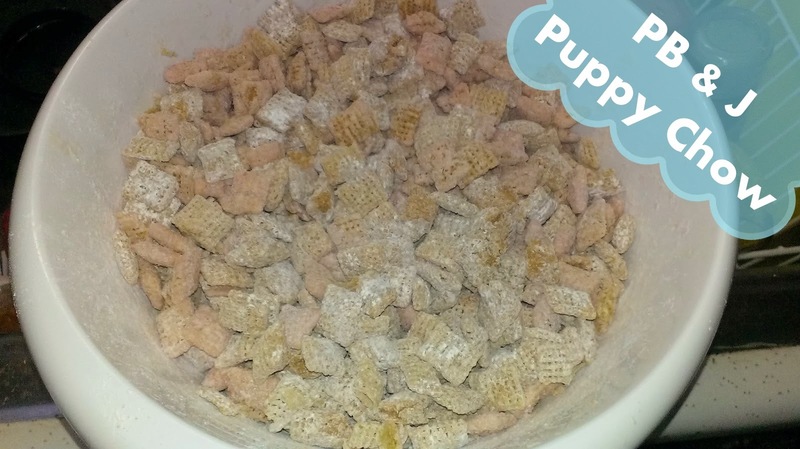 There are so many different kinds of puppy chow flavors now. 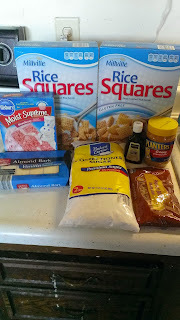 Of course, I want to try them all, but I decided to try out this recipe for the pb&j kind first. It was pretty good. I don't think I used enough peanut butter, but it all got eaten so it must of been alright. First start with the peanut butter chow. Melt peanut butter chips, peanut butter and vanilla extract together. 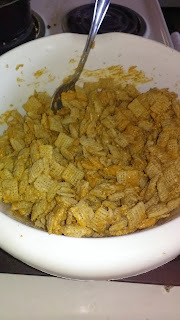 Place 8 cups of the cereal in a large bowl and pour the melted peanut butter over it and fold until coated. 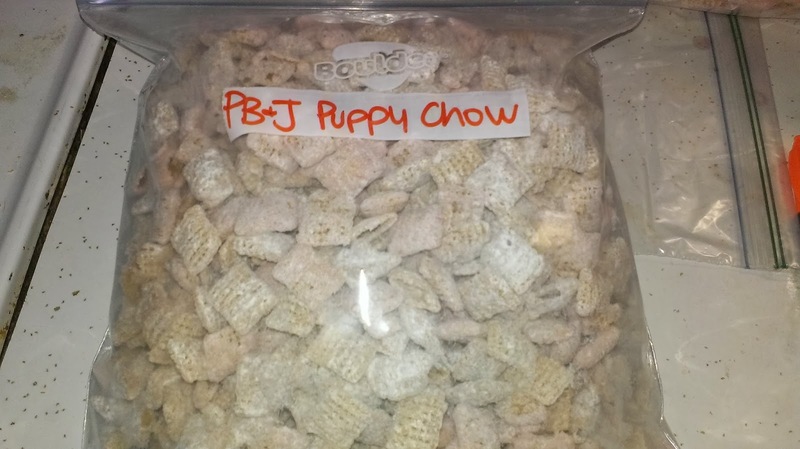 Put powdered sugar into a large plastic bag and dump in peanut butter coated cereal. 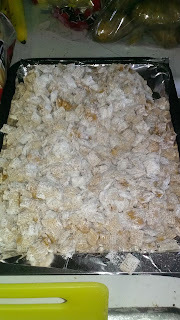 Shake until coated in powdered sugar then dump out on a cookie sheet to cool. Next is the jelly chow. Melt white chocolate until smooth. Place remaining 8 cups of cereal in a large bowl and pour the white chocolate over and stir until coated. Put the strawberry cake mix in a large plastic bag and dump chocolate coated cereal into it. Shake until coated and pink from the mix. Pour onto a cookie sheet to cool. Final step is to mix the two together.